With just three games remaining Hanoi T&T had to beat HAGL to maintain any chance of retaining the league title. I’ve a friend in town, so having missed the SLNA away game I was certainly going to drag him along to the Hang day stadium. HAGL have goal machine Timothy upfront (17 this season while Samson and Gonzalo have netted 32 goals between them). I was positive it would be another goal fest in the VLeague. I still don’t think I’ve seen T&T play out a 0-0 draw. 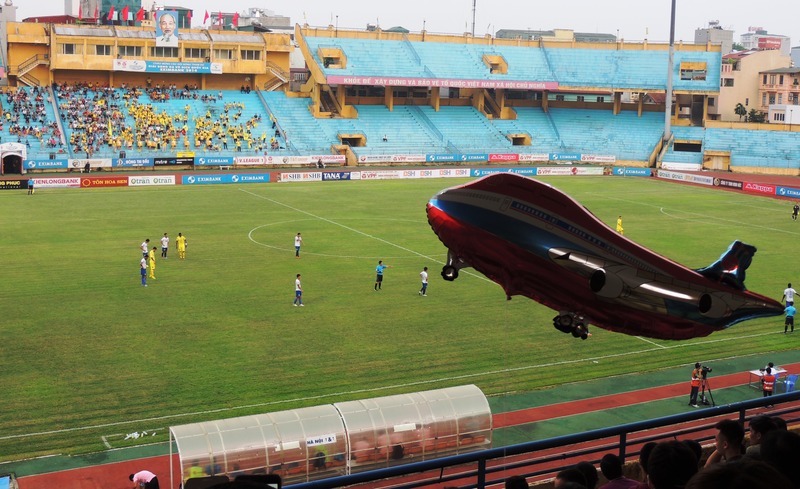 With the news of more match fixing in the Vleague (7 Dong Nai players arrested this week in connection with their 5-3 defeat at Quang Ninh last week) I was again feeling rather deflated about what should be an exciting end to the season. The sports company that backs Dong Nai have withdrawn their funds and the team may struggle to complete the season. If the same rules as last year apply, with results being expunged, then Binh Duong will be gifted the title. I was putting on a positive face; my friend was in town and about to witness his first Vietnamese football match. A decent number of fans also turned up. The season was also coming to an exciting climax, with T&T close on the heels of Binh Duong and the early season pacesetters, Thanh Hoa, still in with an outside chance. Predictably it was another hot and muggy afternoon in the capital, and the game mirrored the conditions; plodding along with a certain air of lethargy. It was the visitors who began brightly and the T&T defence was again exposed when, after just 4 minutes, Felix was slipped through a static Hanoi back line and calmly finished beyond Hong Son. I turned to my friend, “don’t worry T&T always concede first and play better in the second half”. I was worried though. A defeat here would effectively end the title charge. Samson had different ideas, and the leading scorer put T&T in front before half time with a nice brace. 2-1 at the break, but Felix and Timothy were causing the home defence far too many problems, certainly one of the more impressive strike pairings in the league. As the form guide shows though, T&T dominated the second half and the HAGL attacking pairing failed to inspire after causing so many problems. Samson, assisted well by Gonzalo and the brilliant Van Quyet, bagged his hat-trick to ensure Hanoi stay on course to push Binh Duong all the way for the title. 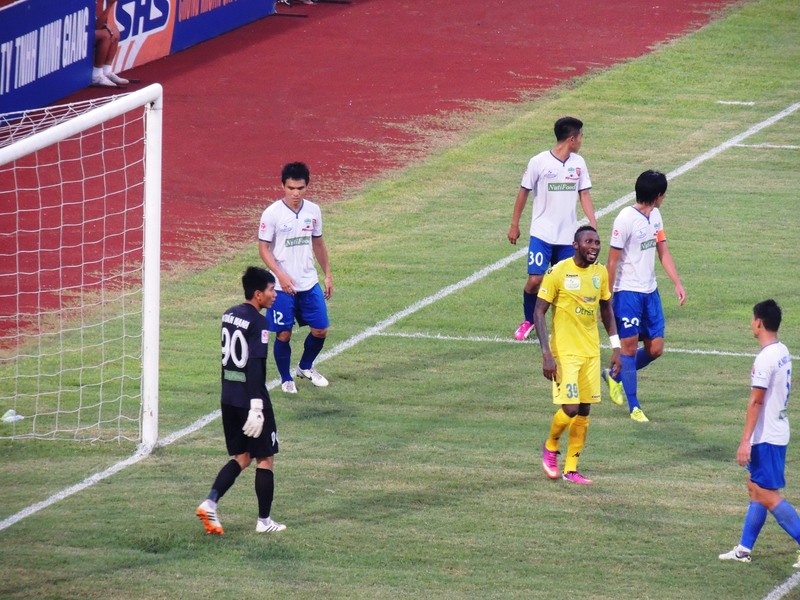 Thanh Hoa were held to a goalless draw at home to SLNA, ended their title chances and An Giang are all but guaranteed to be in the end of season relegation play-off, against Can Tho. Binh Duong beat Quang Nam and now sit a point above Hanoi T&T, with just two games remaining.